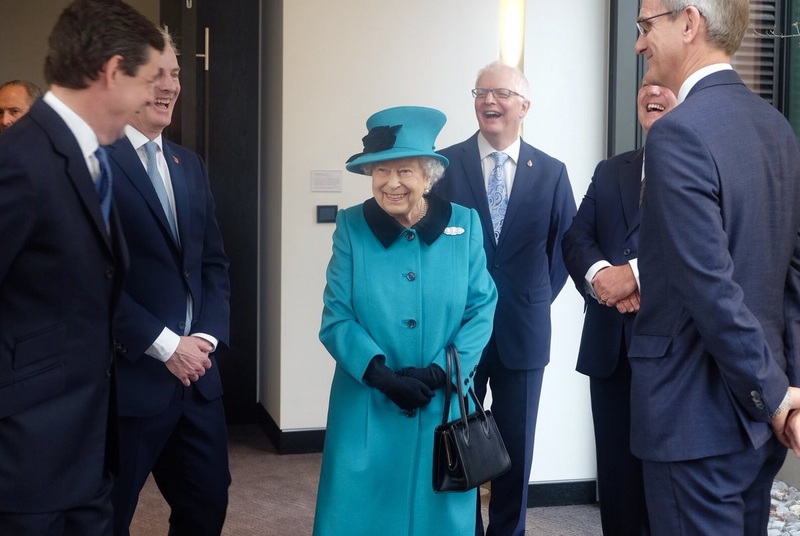 The Queen officially opened the new headquarters of Schroders in the City of London. I just added a video link in the Triple Diamond Bar Brooch's post, to see The Queen (then Princess Elizabeth) receive the diamonds thought to be used in this brooch. 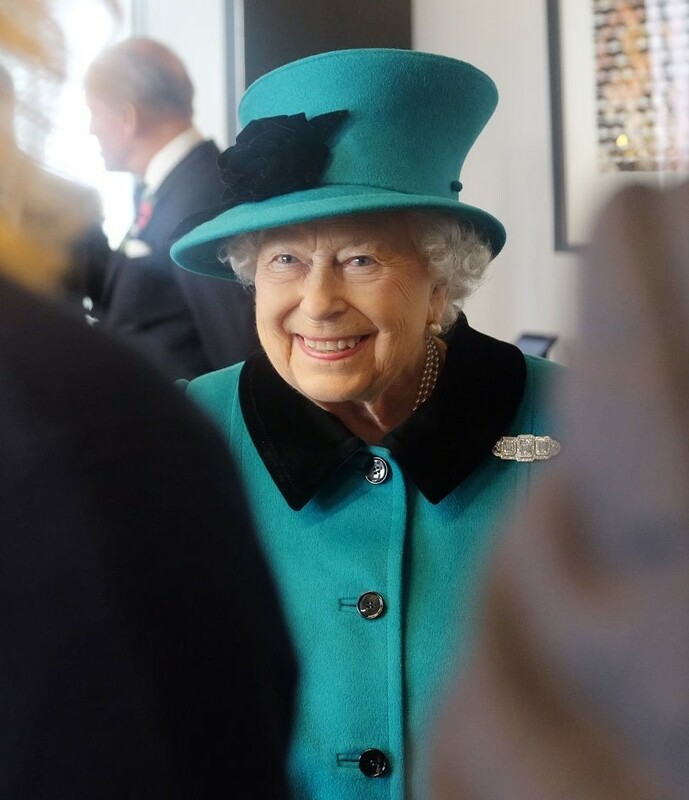 You can hear her say something like, "They are the most magnificent ones, aren't they?" as she opens them. And every time she wears them, I have pretty much the same thought. This brooch has serious diamond power. This is its fourth appearance for the year, by the way. Will it make a run for the 2018 favorites list?